Hi, my name is Tim Lewthwaite and I am the editor for the Association of Zoos and Aquariums CONNECT magazine. As a result of my job, I get the scoop on a lot of great news and stories about accredited zoos and aquariums crosses my desk on a daily basis. This blog is about sharing some of these great stories and photos with a wider audience than the magazine reaches. I hope you enjoy the blogs and also the great photos that appear on this site. 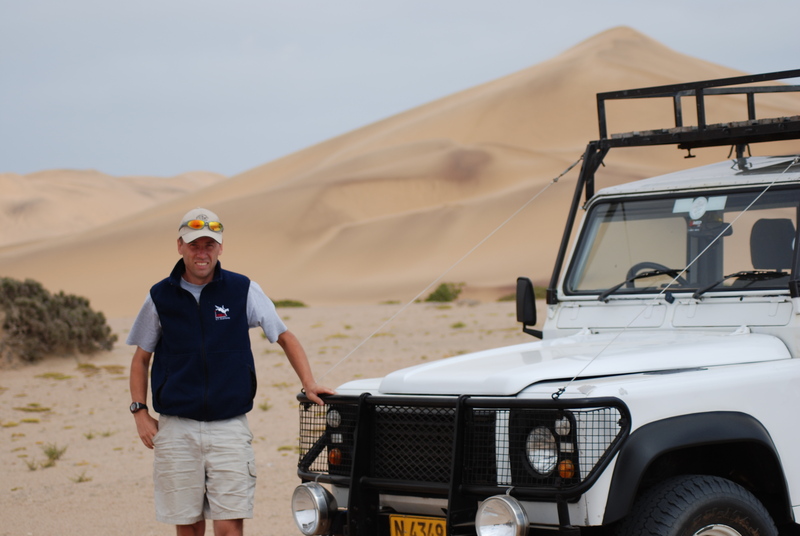 Tim in the Naimib desert near the town of Swakopmund.